1946 Robertshaw, M.H. - THE POSTMARKS OF ADEN 1839-1939. Published in 1946 by H. Garratt-Adams & Co, Birmingham. Hardbound, 23 large pages with many illustrations. A detailed description of the 86 Types of the Postmarks including Small Sub-Post Offices, Paquebots, War Postmarks. A scarce publication in a limited edition of 75 copies. Very fine condition. 1982 Robeck, Brian De - NYASALAND, A PICTORIAL ESSAY OF THE 1898 PROVISIONALS OF BRITISH CENTRAL AFRICA. Published in 1982 by the author. Hardbound, 20 pages text and 11 colour plates. 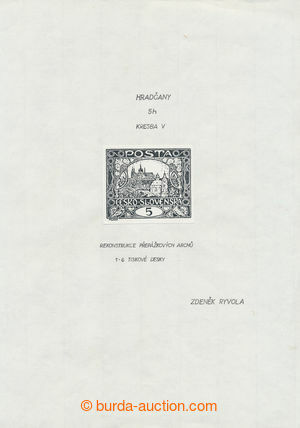 Shows and describes the Provisional Stamps and Postmarks on/off cover, including a map of the Post Offices and Mail Routes in 1898. In perfect condition. 1950 Gisburn, Harold - THE POSTAGE STAMPS AND POSTAL HISTORY OF THE BAHAMAS. Published in 1950 by Stanley Gibbons Ltd., London. Hardbound, 144 pages. Including the "Chalon" stamps (Perkins, Bacon and De La Rue Issues, Victorian Surface-printed Stamps, The Queen's Staircase), Normal and Overprinted Stamps, Bradbury-Wilkinson Issues, Waterlow Pictorial Stamps, Post Stationery. In sound condition. 1980 Scott, A. H. - CANCELLATIONS AND POSTAL MARKINGS OF BASUTOLAND LESOTHO POST OFFICES. Handbook and specialised catalogue with up-to-date valuations. Published in 1980 by the Collectors Mail Auctions Ltd., Bergvliet. Hardbound with dust jacket, 294 large pages + foldout map. A complete evaluation of all Postmarks in aphabethical order, Cancellations with description, Registration Labels, Auxiliairy Markings, Post Offices, Close Dates, Name Changes, Postal History, Historical Background including Boer War. A gem to the Basutoland collector. First editon in very fine condition. 1945 Jurgens, A.A. - THE BECHUANALANDS : A BRIEF HISTORY OF THE COUNTRIES AND THEIR POSTAL SERVICES 1836-1895. Published in 1945 by the Royal Philatelic Society in London. Hardbound, 110 large pages. 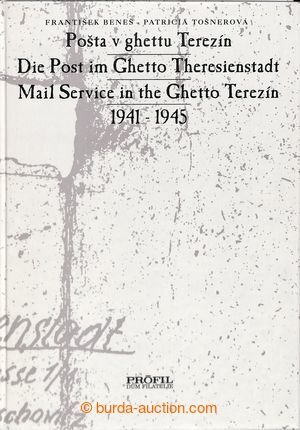 The second major publication by Adrian Jurgens treating the Social and Political background, the Postal System including Rates, Dies, Plates, Stamps, Forgeries and Rarieties. A well illustrated and scarce handbook in very fine condition. 2000 Proud, Edward B. - THE POSTAL HISTORY OF BRITISH GUIANA, Published in 2000 by Proud-Bailey Ltd., Sussex. Hardbound, 320 pages. Including General and Postal History, Postal Rates, Postmarks and Post Offices, Travelling Post Offices. With many photo material of Guiana and illustrations of the Postal Markings. An important and thorough study of the subject. In new condition. 1981-1990 Minns, John - BRITISH EAST AFRICA, THE STAMPS AND POSTAL STATIONERY (hardbound, 134 pages) and BRITISH EAST AFRICA, A SUPPLEMENT TO THE HANDBOOK (softbound, 52 pages). Published by the Royal Philatelic Society in 1981and 1990, London. Including IBEA Company Definirtives, Manuscript Provisionals, Protectorate Handstamps, 'On India' and 'On Zanzibar' Provisionals, De La Rue Definitives, Proofs & Specimens. The handbook in a limited edition of 500 copies of which this is nr. 44. A beautiful publication (slight wear to dustwrapper) in perfect condition. 1996-2009 David Feldman - THE "TRESKILLING" YELLOW. The famous sale by David Feldman of Sweden's 1857 3 skilling-banco, error of colour, yellow instead of green, held in Zurich on November 8, 1996. The profuselly illustrated catalogue could be considered as a handbook of the "Treskilling"Yellow, describing in detail the story and biography of the unique stamp which was sold for CHF 2.875.000, a world record price at the time. An important auction catalogue, hardbound and in fine condition. + David Feldman - GRAND DUCHY OF FINLAND 1856-1884. Zurich, November 27, 2009. Including the entire Gold Medal collection, one of the finest in the world, formed by Arnold Newman. With nearly 200 lots of "Oval Types", 1860 & 1866-73 "Roulettes", 1875-84 "Arms Type" with emphasis on tête-bêche in mint and used multiples. A splendid Feldman catalogue, hardbound in very fine condition with the prices realised.+ David Feldman - MAURITIUS "THE BALL INVITATION ENVELOPE". Zurich, November 20, 1997. Sale of the Mauritius "Ball Invitation Envelope" (only three covers recorded) with the famous One Penny "Post Office" stamp in orange-red colour. 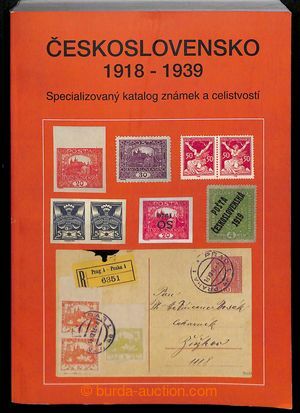 The splendid Feldman catalogue provides all the information that is known about this 'highlight of world wide philately' : history, biographical backgroud, previous owners, etc. A beautiful hardbound catalogue in perfect condition. 1951 Schloss, Hermann - DISTINGUISHING CHARACTERISTICS OF CLASSIC STAMPS - VOL. II : EUROPE 19TH CENTURY (EXCEPT OLD GERMAN STATES). Published in 1951 by Fritz Billig, New York. - Billig's Philatelic Handbook, Volume 15. Hardbound, xxii + 200 pages. Description of Reprints, Postal Forgeries, Differences of Types, Watermarks, Papers, Colors, Separations, Gum, etc. with many illustrations and enlarged details of the stamps. The classic work by Hermann Schloss in good condition. 1958 Mueller, Edwin - EDWIN MUELLER'S CATALOG OF THE IMPERFORATE CLASSIC POSTAL STAMPS OF EUROPE (and Contemporary Postal Envelopes, Letter Sheets And Wrappers) Published in 1958 by Heinrich Geitner in Vienna. Hardbound, 155 pages. Including a Philatelic Dictionnary english/french/german with special reference to the terms used in the catalog. Mueller's classic handbook in fine condition. 1934 Champion, Théodore - CATALOGUE HISTORIQUE ET DESCRIPTIF DE LA POSTE AÉRIENNE. Published in 1934 by the author, Paris. Hardbound, 427 pages. Seventh edition, with many illustrations, of this excellent specialised catalogue of Air Mail stamps (cachets, postmarks, etc.) of the world. A scarce and important catalogue. Slight staining to paper edges, otherwise in very fine condition. 1937 Champion, Théodore - CATALOGUE HISTORIQUE ET DESCRIPTIF DE LA POSTE AÉRIENNE. Published in 1937 by the author, Paris. Card covers, 602 pages. Eighth edition, original red cloth gilt, with many illustrations.The last and best edition of this excellent specialised catalogue of Air Mail stamps (cachets, postmarks, etc.) of the world. A rare and important catalogue. In perfect condition. 1946 H.R.Harmer - THE FRANKLIN DELANO ROOSEVELT COLLECTION Part I-II. New York, 1946. Including USA and Latin America (I) and Foreign, excluding USA and Latin America (II). The legendary collection formed by the President of the US. The sales became a public sensation also because of the high quality of the collection with many rarities donated to the President, such as the nearly complete collection of the Republic of China with the rare unissued Provisional Neutrality stamps, a present by Generalissimo Chiang Kai-shek. Scarce catalogues in fine condition, including the prices realised. 1990 Williams, L. N. & M. - FUNDAMENTALS OF PHILATELY. Published in 1990 by the American Philatelic Society. Hardbound, 862 pages, revised edition. The famous and monumental publication on the complexities of stamps design and production. Undoubtedly the best technical book on philately ever published. First pubished as a serie of articles in The American Phialtelist in the 1950's. A classic publication in fine condition. 1932 Duveen, Geoffrey E. - POSTAGE STAMPS OF GIBRALTAR. Published in 1932 by Harris Publications, London. Hardbound, 59 pages + plates, incl. Addendum by Charles Nissen "Gibraltar Postmarks on British Stamps " pp. 52-59. Describing the Postal History and in detail the Issues between 1886 (First Issue) and 1931 (Twelfth Issue) including The "No Value " Error, Supplementary Issue 1895, War Tax Stamps. The original classic and scarce publication. Fine condition. 1957 Narath, Dr. Albert - BEITRAGE ZUR STEMPELKUNDE VON GUATEMALA : TEIL 1. DIE NUMMERNSTEMPEL and TEIL 2. DIE STUMMEN STEMPEL, Published in 1957 by Dionysos Verlag, Berlin. Card covers, together 75 pages and 23 photo plates. A profound study of the early cancellations of Guatemala, with many illustrations. In fine condition. 1910 Sigismond, Jean - LES TIMBRES DU CHILI, d'après Rafael Aguirre Mercado. Published in 1910 by Charles Mendel. Softbound, 68 pages. One of the earliest publications regarding the Postage Stamps of Chile. With an introduction of Georges Brunel and 35 illustrations. Small imperfection to frontcover, handstamp 'Club Royal Philatélique Bruxelles' on few pages, otherwise fine condition. Very scarce. 1965 Rider, John F. - LOS SELLOS OFICIALES DE MARINA DE CHILE 1906-07. Published in 1965 by the Sociedad Filatelica de Chile. Softbound, 49 pages, many illustrations with one foldout photo plate. In spanish language. A profound study of the 'Marianas" including all aspects of the issues : the imperforated stamps, overprints, control numbers, varieties, essais, falsifications. A scarce publication in good condition. 1983 Staal, Frits - THE STAMPS OF JAMMU AND KASHMIR. Published in 1983 by The Collectors Club, New York. Hardbound, xvii + 286 pages + 16 colour plates. The definitive handbook on the Stamps of Jammu & Kashmir with a preface of H. D. S. Haverbeck and contributions by H. Garratt-Adams and B. .P. Sharma. In very fine condition. 1975 Reisener, Hasso - THE SPECIAL AND COMMEMORATIVE POSTMARKS, CACHETS AND COVERS OF SOUTH AFRICA, 1892-1975. Published by the author in 1975. Hardbound with dust jacket, 342 large pages. A magnificent handbook (and catalogue) in which each cancel from the period 1892-9172 is described in detail and given a valuation. A major study in a limited edition of 900 copies (starting with No. 101) of which this is No. 914. 1977 Putzel, Ralph F. - HANDBOOK OF POSTMARKS OF SOUTH WEST AFRICA UNDER SOUTH AFRICAN ADMINISTRATION 1914-1977. Published in 1977 by Collectors Mail Auctions Ltd., Bergvliet. Hardbound, 263 large pages. A comprehensive Study including a complete list of all S.W.A. Post Offices with special sections on S. African Military Campaign Postmarks 1914-1915, Railway Station Cancellations 1915-1977, Telegraph Stations,Airmail History of S.W.A., Censor Cachets, Ships Postmarks etc. A major publication and sought after handbook in very fine condition. 1972-1976 Batten, A. G. M. - THE POSTMARKS OF THE ORANGE FREE STATE AND THE ORANGE RIVER COLONY, 1868-1910 (blue cover) AND MORE ABOUT THE POSTMARKS OF THE ORANGE FREE STATE and THE ORANGE RIVER COLONY, 1868-1910 (red cover), Published in 1972 and 1973 by the author, Littledale. Hardbound, 271 and 403 pages. The comprehensive and definitive work on the postmarks of the Orange Free State with many illustrations and lists of the Post Offices, Sub Offices, Postal Agencies and their Postmarks. Both volumes in vey fine condition. Scarce publication. + Batten, A. G. M. - THE ORANGE FREE STATE, ITS POSTAL OFFICES AND THEIR MARKINGS 1868-1910. Privatly published in 1976 by the author. Ringbinder, 174 pages. The 1976 addition to the major publication of 1972/1973. With about 30 Post Offices not recorded before and 394 newly discovered postmarks, all illustrated and described in detail. Awarded with the Crawford Medal in 1976. In good condition. 1943 Rich, Stephen G. - PHILATELY OF THE ANGLO-BOER WAR 1899-1902. Published in 1943 by Chambers Publishing Comany, Michigan. Softbound, 226 pages. Including Brief History of the War, Stamp Issues, various Post Offices, Postal History, Censors' seals & marks, Canadian contingent; Prisoner of War mail, Burgher Concentration & Refugee camps, and more. A profound and classic study of the subject. Scarce publication in fine condition. 1940 Curle, J. & Basden, A. - TRANSVAAL POSTAGE STAMPS. Published in 1940 by the Royal Philatelic Society, London. Hardbound, 154 pages with illustrations and + 12 loose plates (8 color) in rear pocket. The classic work on the stamps of Transvaal. Studies the stamps of Otto, Viljoen, Borrius & Davis. British Occupations, Queen's Heads, 2nd Boer Republic, Boer War 1899-1902, Postal Stationery, Proofs, Later Issues, Rarities, Postmarks, Forgeries. Inculding an annotated catalog. Rewarded with the Crawford Medal in 1940. Fine condition. 1957 Stich, Louis - CORRIENTES - THE ISSUES FROM 1856-1880. Published in 1957 by the Collectors' Club, New York. Card covers, 88 pages + many illustrations. Including Map of Corrientes, Geographical Background, Origin & Catalogue of the Corrientes, Explanation of the Types, Settings and Printing Groups, Study of Each Issue, Cancellation and Postmarks. A profound study and scarce publication in very fine condition. 1945 Holmes, L. Seale - HOLMES HANDBOOK OF CANADA AND BRITISH NORTH AMERICA. Published in 1945 by Gossip Printery, Kansas. Hardbound, 246 pages. An extensive introduction to Canadian philately including all aspects and various subjects. In fine condition. 1966 Whitworth, Geoffrey - THE FIRST DECIMAL ISSUE OF CANADA 1859-68. Published in 1966 by the Royal Philatelic Society, London. Hardbound, 95 pages with a dedication from W. S. Boggs to H. R. Harmer. Including Design and Production of the Stamps, Colours & Proofs, Plate features of the stamps, Forgeries and Canadian Postal Rates. Many enlarged illustrations of flaws & varieties. Reprinted from the London Philatelist with additions. In fine condition. 1942 Boggs, Winthrop S. - THE POSTAGE STAMPS & POSTAL HISTORY OF NEWFOUNDLAND. Published in 1942 by the Chambers Publishing Company. Card covers, 186 pages. The major publication by Winthrop S. Boggs, renowned for his expertise and philatelic writing. A profound study of the stamps of Newfounland in the scarce original edition. Fine condition. 1976 Argenti, Nicholas - THE POSTAGE STAMPS OF NEW BRUNSWICK & NOVA SCOTIA. Reprint of the classic work from 1962, published in 1976 by Quarterman Publications, Lawrence MA. Hardbound, 223 pages with 24 photo plates. The major and comprehensive work on Pence & Cents issues with Historical Records, Proofs, Production, Varieties, Cancels, Forgeries, Postal Rates & Postal Regulations. Awarded with the Crawford Medal in 1962. An important handbook in very fine condition. 1974 Howes, Clifton A. - CANADIAN POSTAGE STAMPS AND POSTAL STATIONERY. Reprint of the classic work from 1911, published in 1974 by Quarterman Publications, Lawrence MA. Hardbound in dust jacket, 287 pages + 14 photoplates. Including a thorough study of the Issues 1851-1908, 'Registration" and Postage Due Stamps, Special Delivery Stamps, Officially Sealed Labels, Stamped Envelopes, Wrappers, Post Cards, Letter Cards, Official Stationery and Precancellation & Permits. A classic title in very fine condition. 1962 Aguilar, E.F. & Saunders, P.T. - CAYMAN ISLANDS : THEIR POSTAL HISTORY, POSTAGE STAMPS AND POSTMARKS. Published in 1962 by F. J. Parsons, Kent. Hardbound, 112 pages + foldout map. Including the Commemorative Stamps, Provisionals, Farthing Stamps, Rural Posts, War stamps, Obliterators, Air Mail, Postage Due and Postal Stationery, Post Offices & Temporary Rubber Dates stamps with value. In fine condition. 1987 Lehr, James C. THE POSTAGE STAMPS AND CANCELLATIONS OF PRINCE EDWARD ISLAND 1814-1873. Published in 1987 by The Unitrade Press, Toronto. Hardbound in dust jacket, 174 pages. Including Postal History, Background Material, The Warrants and Remainders, Colonial Stamps, Proofs and Essays, Secondary Dies, Fakes & Forgeries and a thorough study of the Cancellations with many illustrations. A specialised publication in very fine condition. 1963 Gebauer, Eugenio - THE AIR POST STAMPS OF COLOMBIA. Published in 1963 by the author, Caracas - 126 pages. Containing the complete History of the Colombian Air Post Service. Specialized Catalogue of Air Post Stamps and Covers Scadta Stamps of Colombia and Ecuador as issued until 1939 including the 1950 - 1952 issues of Avianca and Lansa. A scarce publication, in good condition. 1967-1972 Stanley Gibbons - THE LARS AMUNDSEN COLLECTION - Part I-IV. London, 1967-1972. The splendid collection formed by Lars T. Amundsen of the Classic Issues of the British Empire (I), Classic Europe, Asia and South America (II), German States (III), Finland and Switzerland (IV). Including 70 Mauritius lots and many exceptional items from the Ferrari, Hind, Burrus and Caspary collections. 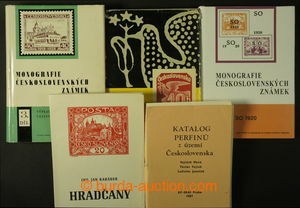 Catalogues in fine condition (slight wear to cover of catalogue IV), all with the prices realised. 1980 Martin, R. E. - MALTA, THE STAMPS AND POSTAL HISTORY 1576-1960. Published for the Malta Study Circle in 1980 by Robson Lowe Ltd., London. Hardbound, xvi + 411 pages. The major publication and thorough study of the Stamps and Postal History of Malta. With many illustrations (some in colour) of Markings, Covers and many useful lists. The definitive publication on the subject. Fine condition, ex libris John B. Vanck. In slipcase. 1962-1964 Robson Lowe - THE BURRUS COLLECTION. 20 catalogues (+ 3 separate photo plates) of the famous sales which took place in London and Basel, 1962-1964. Including the scarce catalogues of German States, Italian States and Switzerland. A wealth of information is to be found in this second largest collection ever formed. The catalogues are generally in fine condition, with the prices realised (except for three catalogues). In slipcase, which includes also a list of all the catalogues and their contents + Balasse - "LA COLLECTION BURRUS" - Part I-III. Bruxelles, 1962-1963. Colonies Françaises & Roumanie (I), Belgique & Congo Belge (II), Espagne (III). Scarce catalogues in fine condition including the prices realised. + Harmer Rooke and H.R. Harmer - THE MAURICE BURRUS COLLECTION OF UNITED STATES AND HAWAII, May 1963. With 15 examples of the rare Missiomairies including the unique unused 2 Cents. Both catalogues in fine condition with prices realised. 1993 Corbett, Leo V. - IMPERIAL EAGLES OF MAXIMILIAN'S MEXICO. Published in 1993 by the Mexico Philatelic Library Association, Stanton, CA. Hardbound, vii + 406 pages + Appendix I and II. One of the most important publications on Mexican philately. Including General Information, The Stamps, References, Prices (Unspecialized) and finally The Postal Districts, Offices and Suboffices, the main part of the handbook. By many considered to be the most sought out publication of all Mexican Philatelic Literature. A de-luxe publication in full leather binding with gold lettering and gold paper edges. Published in a limited edition of 300 copies of which this is No. 226. In perfect condition. 1958 Earée, R. B. - ALBUM WEEDS, HOW TO DETECT FORGED STAMPS, Part I-VIII. Published 1958, Manuka-Ainslie Press - 3rd reprint edition, the last and most complete edition. Worldwide alpha by country, regarded as the first major publication about stamp forgeries covering the whole world - 8 volumes, 1296 pages, in slipcase. Perfect condition. 1954 Williams, L. N. & M. - FORGED STAMPS OF TWO WORLD WARS: THE POSTAL FORGERIES AND PROPAGANDA ISSUES OF THE BELLIGERENTS 1914-1918 & 1939-1945. Published by the authors in1954. Card covers, 52 pages. Including WW1 : Forgeries of Germany, Austria, Bavaria + Porpaganda Issues - WW2 : Forgeries of France, Germany, Greta Britain, Italy and Netherlands + Propaganda Issues. With descriptions & notes and many illustrations. In fine condition. A very scarce and sought after publication by the Williams brothers. 1977 Fletcher, H.G. Leslie - POSTAL FORGERIES OF THE WORLD. Published in 1977 by Harry Hayes, Batley. Hardbound, 140 pages. Standard handbook on Postal Forgeries, i.e. Postage Stamp Forgeries intended to defraud the Postal Authorities. With descriptions and enlarged illustrations of the Genuine and Forged stamps. In very fine condition.